11:00 Am. The boat departs from the pier heading forward to Phang Nga Bay National Park.First stop at Koh Naka Island for relaxing or swimming on the white sandy beach. 12.30Pm. 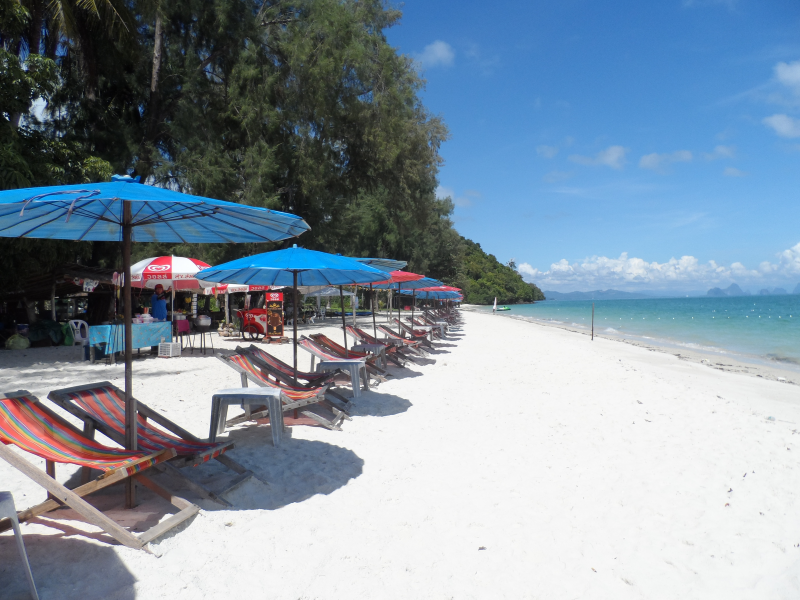 Enjoy delicious buffet lunch on the boat and sightseeing to Koh Panak island. 14.00 Pm. The boat cruising to Koh Hong Island. Start canoeing inside the lagoon at Hong island and stalactites along the mangrove forest. 15.30 Pm Depart from Koh Hong Island to James Bond island. Take your advantage to learn their daily lifestyle on floating house. Long times ago they earn daily life from fishing and fish farm. Nowadays they change their profession to tourism business and souvenir sellers to the tourists who visit to the village more than 1,000 persons per day!! Depart from Panyee Island and sightseeing to Khaokain, Tamtalu. 17.45 Pm. 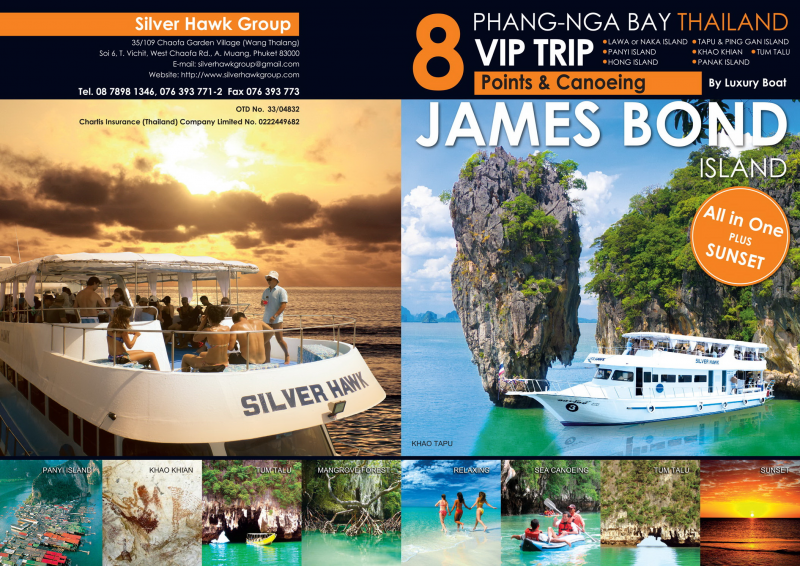 Depart from Phang Nga Bay National Park with Sunset Cruise. 19.30Pm... the boat arrives to the port and transfer you back to residence with a pleasant memorable!!!! - The trip itinerary are subject to change depending on the weather & road condition without notice in advance. - Additional charged 600 THB./ person for transfer service from in Cape Panwa, Rawai beach, Nai harn Beach, Naiyang Beach, Naiton Beach, Maikao Beach, Ao Po Bay, Siray Bay area. - Additional 500 THB./person charged for around trips transfer in Kamala, Bang Tao, Surin Beach, Laguna area, Layan beach. - Free transfer for hotels in Patong beach, Kata Beach and Karon Beach area, for another pick up point please contact us.